I'd be farther if I wasn't burdened with school and whatnot. I'm just gonna gush right now OK? Watership Down was suggested to me by a literature teacher. He caught my young attention by saying I was similar to one of the characters. My first thought was "not another boring book about a sinking ship". After reading the synopsis, I was thinking "haha I am not like a rabbit" but the characters, all of them, were colorful and relatable. And the excellent storytelling compelled me to read it almost in one sitting. From then on, I was borderline obsessed. Watching the movie, reading the second book, and eventually the TV series. I even looked for Lockley's Private Life of the Rabbit... Thinking I was weird for doing so much research on such a mundane topic, I turned to the Internet for advice and found I was not alone. I made every attempt to communicate with like minded people and usually ended up just embarrassing myself. Today my love of WSD continues but my passion has faded. The only thing WSD related is posting on this board. That might change soon though. I may get more or less involved depending on approval from community Watershippers. My first thought was "not another boring book about a sinking ship". After reading the synopsis, I was thinking "haha I am not like a rabbit" but the characters, all of them, were colorful and relatable. There shouldn't be any problem with getting approval with us. We are very friendly and generally accepting bunch. He caught my young attention by saying I was similar to one of the characters. No, he didn't tell me. I can relate to all the characters. In fact, I'm sure he just said that to get me more interested in reading. It worked! Also, thanks for the link, Myrkin, that's a neat website as well. You're welcome, Mallow. It's nice and funny website, but it is also a good time waster. Only those with strong will can stop reading its pages and not spend hours upon hours clicking on links to more tropes. What a pity, yet so witty. I bet he has the trickster rabbit part of himself too. Interesting observation. I am fond of the tricks teachers use on their students. A question to the people who saw the movie first, what was it like to you? Were you confused? Did it make sense? Could you follow the plot? This is for a school newspaper article that I'm writing, I will not be naming names, I will only say "I know someone who saw the movie first"
Any feedback would be appreciated, if you want to answer but don't want it in the paper, tell me that you don't want it in, and I will respect your wishes. As I said, I had seen one or two episodes of tv-series several years before I watched the movie, so I might not be one of the people you're asking, but I will answer your question anyway. When I watched the movie I didn't have any problems with following the plot and nothing really confused me. I don't think one needs to know the book to enjoy the movie, if this is what you're asking. I have to say though, that when I saw the first part of the movie (the one with story about blessing of El-Ahrairah), I initially thought: "Oh no! Is this how this movie is going to look like?" I was relieved when the simple fairy-tale graphics turned into the kind of animation that was more detailed and more realistic. Well... As much realistic as animation can get, that is. I read the book first as a kid and then got the movie. It wasn't until I was an adult in my mid-20s that I learned there had been a TV show about and found it on Youtube which I fell in love with. I don't much like Tales of Watership Down though. I don't consider that to be a proper sequel. Since childhood I have always admired the rabbits by its absolute perfection and be the most adorable creature in the world. So I always look for anything related to rabbits, but looking for quality and not be ridiculous and childish. 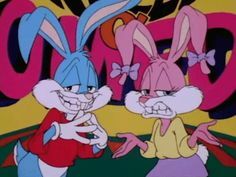 Why I love Bugs Bunny and Hop movie. 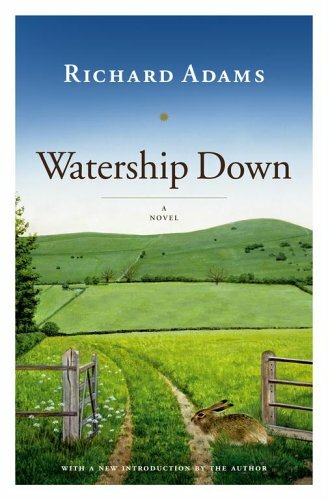 Anyway, in my search I found the movie "Watership Down", after a while I found information of the English novel in the UK, read the book, saw the series. And since it is my absolute favorite series to have the things I love most in life: Rabbits! and a very good quality of story. Silverweeb: WATERSHIP DOWN I LOVE YOU!!! I remember my mum giving me the book for christmas when I was quite young. She warned me that I may not like it as it was very dark in places. It's now my favourite book ever. I've seen the film but haven't seen the tv series. I think I'm afraid of anything tainting the relationship I have for the book. I've seen the film but haven't seen the tv series. I think I'm afraid of anything tainting the relationship I have for the book. Well, you must see the series detached from the book. It's different, but it carries the spirit of Watership Down. And season 3 is a great sequel to the story (while season 1+2 are related to the book). I first watched the series and then read the books. And after reading them, I liked the series much more, because the creators of the series have understand how to carry the spirit without copying the book.